Select Size 4 oz. 10.25 oz. The Scotch Spray Mount Repositionable Adhesive is a spray adhesive that is ideal for making layouts, preparing presentations, creating package designs, and other short-term bonding. Light spray allows repositioning before it sticks permanently as soon as it dries up. To achieve stronger bond, use heavier spray. This adhesive spray is ph-neutral, transparent, and non-wrinkling making it a perfect bonding agent for vellum and other delicate papers. It resists staining and bleed-through securing any material. It has quick-tack and low soak-in and holds most acetates, fabrics, foils, light tissues, and newsprints. 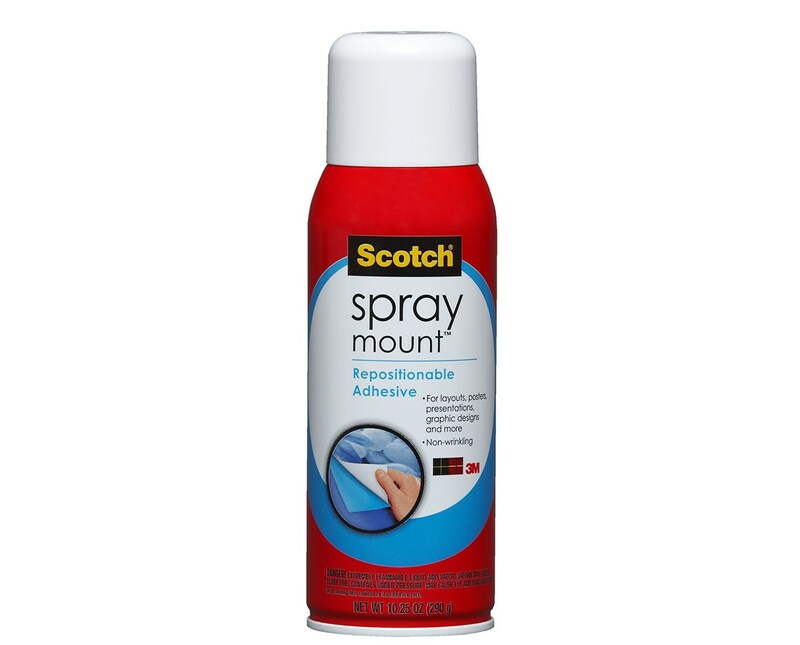 The Scotch Spray Mount Repositionable Adhesive comes in two sizes to accommodate most mounting and bonding needs. It is versatile and convenient to use. For maximum efficiency, do not use it for outdoor applications and large prints. 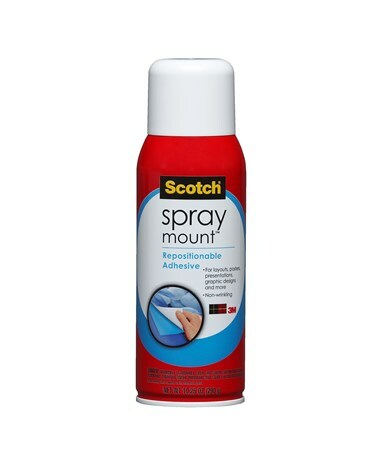 The Scotch Spray Mount Repositionable Adhesive comes in two sizes. Please select your preference from the drop-down menu above. Product Weight (lbs) 4 oz. / 10.25 oz. Size: 4 oz. or 10.25 oz.